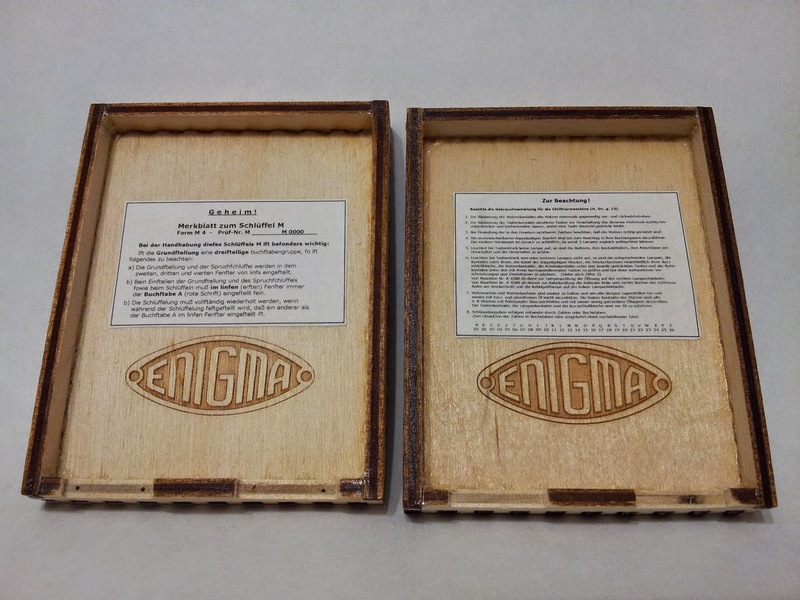 The original instruction sheet and warning placards for the Enigma machines have been recreated in a scale appropriate for the Arduino Enigma Simulator. They were printed in regular white paper and attached using Elmer's Glue-All to the inside lid. When added to this case, it starts getting very realistic. 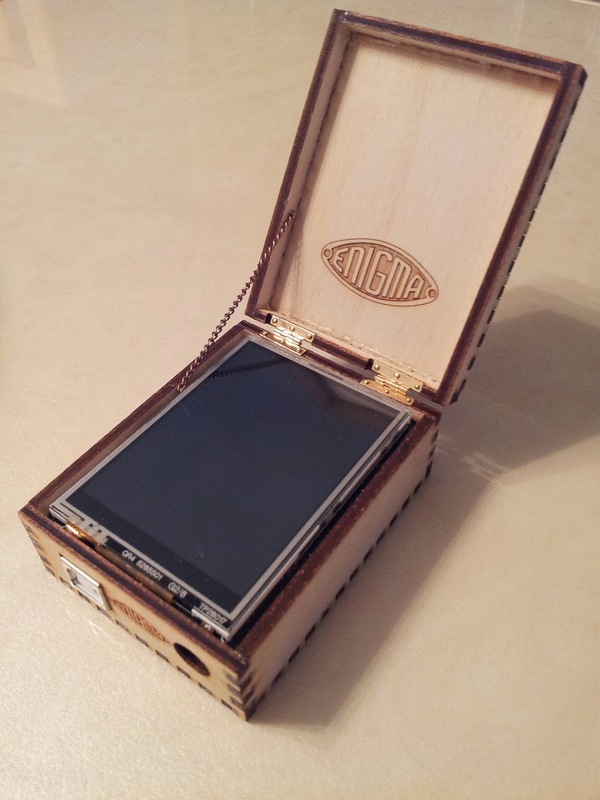 You can download the Zur Beachtung.rtf and Merkblatt.rtf files. The sources for the text have been linked in each file. Thanks to davedarko for pointing out that some of the ( f ) in the text were actually long s ( ſ ). The files have now been updated.